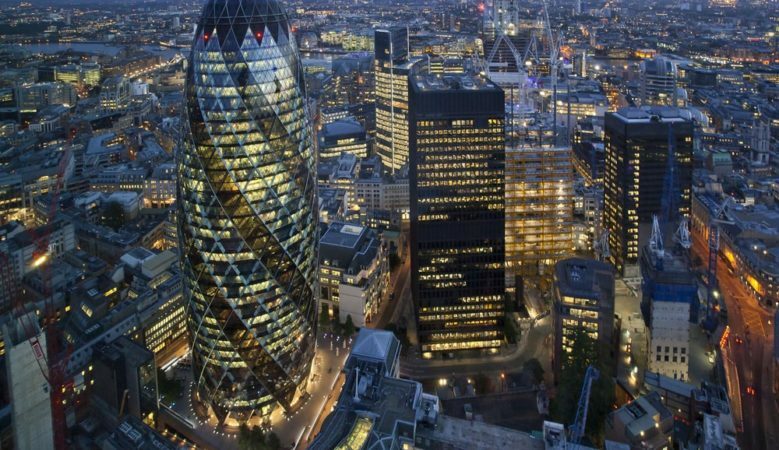 Commercial property investment in Central London, the City and West End, increased by 28% to £3.2 billion in the first quarter of 2019, according to new data. Investment volumes in Central London in the first three months of 2019 were also higher than those in the first quarter of 2015 before the UK voted to leave the European Union, when they reached £3.14 billion, the figures from international real estate advisor Savills shows. The firm’s analysis shows that buyers from the United States have been the most active investor group in the Central London market in the year to date, accounting for £1.43 billion of transactions or 45% of the total, although this was only across four properties. The research also shows that domestic buyers are leading the way in terms of numbers of deals acquiring 23 assets, totalling £906.6 million or 28%. Savills highlights that, despite uncertainty in the market, there have been significant capital flows into Central London real estate in the first quarter of 2019, adding that Citigroup’s acquisition of its EMEA Headquarters at 25 Canada Square in Canary Wharf for approximately £1.10 billion is clear evidence of continued confidence in the Central London market. ‘Despite the well-noted uncertainty hanging over the UK at the moment, this has not stopped a number of commercial property investors from recognising London’s innate strength,’ said Stephen Down, head of Central London investment at Savills. ‘Several of them actually see now as an opportunity and the deals that are offered to the market still seem to draw in a healthy level of prospective buyers, both domestic and international. We have seen a particularly strong appetite for commercial development and opportunistic stock, which is a response to the structural supply shortage that Central London is facing in the office sector,’ he added. However, a new report from Knight Frank has found that Central London office take-up in the first quarter of 2019 reached 2.9 million square feet, down 21% compared with the same quarter last year. It found that the TMT sector remained the dominant sector accounting for 26% of all office space take-up and the report suggests that the Central London market is experiencing a supply squeeze as occupiers respond to expansion-led requirements and pursue preferred options. This has resulted in a rush to secure pre-lets as supply remains particularly tight, with pre-lets responsible for 24% of first quarter take-up while there is four million square feet of office space presently under offer but only 14.37 million square feet of space available in the entire Central London office market. ‘Despite the Brexit haze, the London leasing market remains resilient. Whilst there remains subdued sentiment across the market, overall office take-up in the first quarter was only four per cent below the long-term first quarter average,’ said William Beardmore-Gray, head of Central London at Knight Frank. ‘Furthermore, with nearly four million square feet of office space under offer across London, we are facing a supply squeeze,’ he added. According to Faisal Durrani, London research associate at Knight Frank, the bottom line is that the supply pipeline remains restricted, driving occupiers to continue to secure space before it starts to impact their operational strategies. He pointed out that in 2018 some 52% of deals over 20,000 square feet contained an element of expansion and that the tightness of the market is reflected in the upward creep in space under offer, which has risen to 970,000 square feet from 832,000 square feet in the fourth quarter of 2018.